Chipotle restaurant night is coming soon! Tell your Denver friends and neighbors! Denver East Lacrosse hosts restaurant night at the Chipotle on Colfax right across the street from East! Grab a burrito or some tacos and then head out to support East Lacrosse teammates Clayton Finley-Ponds and the rest of the Varsity East boys Basketball team when they take on Lincoln at Lincoln HS! Go Angels! Stop by the Chipotle at 2500 E. Colfax Ave. in Denver for our fundraiser on Tuesday, January 29 from 5:00pm – 9:00pm. Download a flyer from the link below and save it to your phone or just mention the fundraiser at checkout and they’ll donate 33% of the proceeds to Denver East Lacrosse and your Friends of East Manual Lacrosse board! IMPORTANT: Online orders are not included in the fundraiser total. Only in-store purchases will count. And you MUST MENTION the fundraiser or show the flyer before you pay! If you don’t tell the cashier, we won’t get credit. Click here for more Chipotle details. 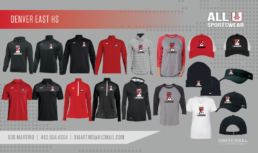 East Lacrosse Spirit Store Now Open! https://www.allusportswear.com/team-stores/denver-east-lacrosse.html to shop. The store closes Tuesday, December 18, 2018. 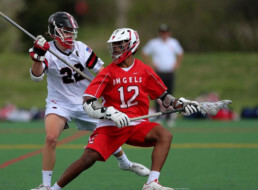 Denver East Lacrosse announced two home scrimmages for this week: Varsity will take on DoCo on Wednesday, November 28 at 8pm and JV will host Jets Lacrosse on Thursday, November 29 at 5pm. Both games are on the Denver East turf field. The scrimmages will close out the 2018 fall ball season. 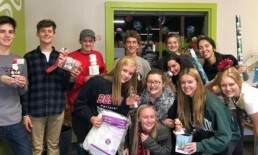 Denver East Lacrosse players Lachlan Humphrey ('20), Ryder Bechtold ('19), and Elijah Bruggeman ('20) took time out last Saturday to volunteer and sort holiday items at RAFT Colorado with the Denver East High School Sustainability club. RAFT (Resource Area for Teaching) Colorado works for educators and the environment by gathering unwanted items from local businesses and upcycling them into interesting and unique learning activities.Through their efforts, almost 30,000 cubic feet of waste was diverted from Colorado landfills and used to create engaging activity kits. To find out more, visit www.raftcolorado.org. 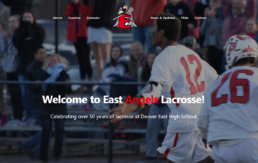 New Website Launched for East Lacrosse! We're very excited to launch our new East Lacrosse website, easthighlacrosse.com! We'd love to hear your feedback - please drop us a line and let us know your thoughts or suggestions. Senior August "Mustang" Sally is selected as Wendy's High School Heisman school winner for Denver East High School. Sally is a four year Varsity Attack on the Denver East Boys Lacrosse team, and a recognized role model in the Denver community. State Winners will be announced November 7, 2018. The Wendy's High School Heisman is a prestigious annual award with awards offered at the State and National levels. Eligibility begins with maintaining a GPA of 3.0 (B average) or better. Applicants also need to be proven leaders and role models within their school and community. And applicants must perform in at least one of the 47 school sponsored sports recognized by the International Olympic Committee in the Summer and Winter Olympic Games or the National Federation of State High School Associations. A $500 college scholarship will be awarded to one senior male and one senior female from each state. The 90 State Winners who do not move on to the National Finalist round will receive a $500 scholarship. The 10 National Finalists are selected from 100 State Winners, made up of five senior males and five senior females from each of the five geographic Heisman regions. National Finalists receive a $1,000 college scholarship. The eight (8) National Finalists who are not named the National Winners will receive a $1,000 scholarship. A judging panel will select one senior male and one senior female from the 10 National Finalists as Wendy’s High School Heisman National Winners. National Award Winners will receive a $5,000 college scholarship, as well as national recognition during ESPN’s national telecast of the college Heisman Memorial Trophy presentation. We can't believe it either but it is almost that time! If you plan to shop online this year, consider using Amazon Smile. It's easy to set up and ties directly with your current Amazon.com account - and they have lacrosse balls! Welcome to our newest Angel! 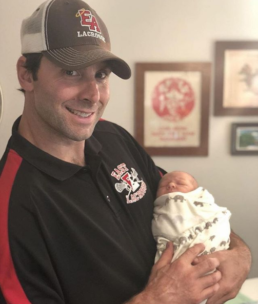 Our latest coaching addition is Harper Rainn McCarthy who joined us in August! Congratulations @jessie_mac_15 and Coach Mac! Mustang Sally, an honor roll student at East High School, was named to the All-Conference (South Suburban, 1st Team) lacrosse team, 5A All-State (1st Team) lacrosse team, and All-State Academic Lacrosse Team in Colorado. It is the first time in more than 30 years that an East High School student has earned such accolades. In addition and for the second consecutive year, Mustang was selected for the prestigious Under Armour All-America team (Southwest Division). 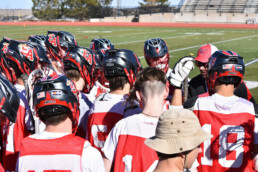 The team is composed of the top high school lacrosse players from Texas, New Mexico, Oklahoma, Nebraska, Arizona, Colorado, Utah, and Wyoming. The team competed in a national tournament in Baltimore this summer. 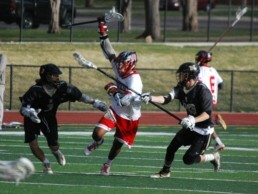 Mustang is a member of the Denver Elite Lacrosse Club and a letterman on the East High School Varsity lacrosse team.